Our product range includes a wide range of jute tote bag and personalized tote bag. 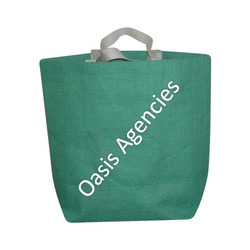 We are one of the leading manufacturer of Natural Rope Handle Jute Tote Bag. 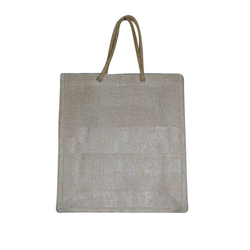 We offer a broad array of Jute Tote Bags Natural Rope Handle is widely demanded due to good quality and high capacity. These bags have valued properties such as good quality, attractive, reliable, rough and tough. Our clients can avail from us excellent quality bag, which is specially designed to provide the needs of various requirements. Our clients can avail from us these products at most reasonable prices. 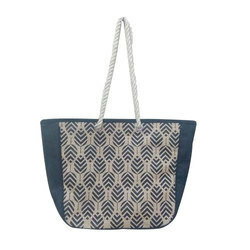 Providing for environment friendly usage, these Eco Friendly Cotton Tape Handle Jute Tote Bag choices bear sturdy construction finish as well as offers safe usage value. Available in different construction and design styles, these jute tote bags are also cost effective in usage. Some of its features include offering easy and safe recycling support, available in medium and large sizes, can be custom developed to match up with specific requirements in terms of size and finish, can be offered in different printing options, comfortable strap support that offer no discomfort while carrying and others.